Ray Kurzweil: futurist or fool? Some say Ray Kurzweil is a genius. Some say Ray Kurzweil is a mad-man. When he was 17 Ray created a homebuilt computer that could compose classical music. The Kurzweil synthesizer was born. Later, he created a reading machine for the blind. At this moment he works for Google. He wants to live forever. Beating death. In the documentary Transcendent man Ray talks about evolution. He explains how human evolution started out biological. The genome is an information carrier. But human beings also became technological inventors. And there has a technological evolution going on as well. It is Ray’s dream to combine the two for the better of mankind. He does so using technology and biology. I wrote a blog about the shadow that discussed the tension between man and machine. With Moore’s law in my mind I know that the best place to look for answers is in The singularity is near, written by Kurzweil in 2006. In this book Ray Kurzweil talks about using technology to improve health. But it also raises questions. “Kurzweil is one of the world’s most respected thinkers and entrepreneurs. Yet the thesis he posits in Singularity is so singular that many readers will be astounded—and perhaps skeptical. Think Blade Runner or Being John Malkovich magnified trillion-fold. 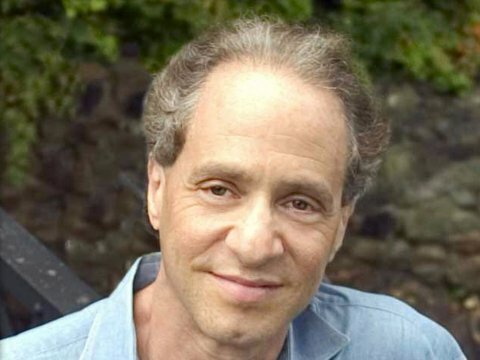 Even if one were to embrace his techno-optimism, which he backs up with fascinating details, Kurzweil leaves some important questions relating to politics, economics, and morality unanswered. If machines in our bodies can rebuild cells, for example, why couldn’t they be reengineered as weapons?” (Quote from Bookmarks magazine). He suggests that we will have artificial intelligence by 2029. He analyses the brain like they have been built out of Lego blocks. Each block composed out of 100 neurons. Creating a brain is looking at its interconnectedness with other Lego brain blocks. The building blocks Ray Kurzweil describes are based on Pattern Recognition in the brain. All the blocks are hierarchical organized. It is all very technological in its analysing process but very challenging to read. The second main stream of attention that Ray Kurzweil has is health. Being a diabetic (type 2 diabetic) he composed a diet and a way of moving that contributes to youth (he wants to live forever!). He takes as many as 200 supplements a day (that is about 13 per hour). But he looks good. He wrote a book about his insights into the well-being of the body. His secrets to health are: movement, dark chocolate, espresso, lots of vegetables and a lot of supplements. Still his book about the body is refreshing in insights and well worth reading. I do not think Ray Kurzweil is a fool. I think he is a brilliant thinker. And like all brialliant thinkers he is allowed to a couple of strange habits.